The 2008 Toyota Highlander Hybrid stands out as an effective transportation tool that drives around with a green halo above its engine compartment. Because of the volume Toyota now sells of this SUV, you shouldn't have any trouble locating one; just know you'll pay a big up-front price to be a part of the green movement. The 2008 Toyota Highlander Hybrid offers the same room and amenities that the nonhybrid Highlander does, only with better fuel economy and the badge of honor that comes with driving something that's trying to be green. The hybrid experts at TheCarConnection.com examined the latest road tests on the new 2008 Toyota Highlander Hybrid to write this consensus review. Experts from TheCarConnection.com also drove the Toyota Highlander Hybrid and have added more details and driving impressions where relevant. This review also compares the 2008 Toyota Highlander Hybrid with other vehicles in its class to give you the best advice even when other reviews present conflicting opinions. If you're into the whole green revolution, then you know that in 2008 hybrid vehicles are still pretty rare. "Full" hybrids that can actually be driven on pure battery power alone--versus "mild" hybrids that just shut off the gas engine when the vehicle isn't moving--are rarer still. The much-improved 2008 Toyota Highlander Hybrid is one of these rarer full hybrids, and the wholesale changes implemented in 2008 make its gas-electric drivetrain run better while still achieving excellent mileage. Members of TheCarConnection.com's team put thousands of miles on different 2007 and 2008 Toyota Highlander Hybrid models over the past two years. The newer Highlander Hybrid has come a long way toward improving everyday drivability. For the Highlander Hybrid, 2008 is the year that Toyota delivers virtually seamless power delivery. Regardless of how you drive, there are virtually no transitional wavers in power delivery as the hybrid powertrain switches from electric-only to electric-plus-gasoline or gasoline-only. The gas/electric powertrain in the 2008 Toyota Highlander Hybrid is identical to the one found in the ritzy Lexus RX 400h: a 3.3-liter V-6 paired with two electric motors where the transmission would go, plus one more electric motor to drive the rear wheels. The gasoline engine is smooth and refined. When using gasoline plus electrons, the hybrid powertrain produces 270 horsepower, which gives the Highlander Hybrid quick V-8 style acceleration, even though the 2008 Highlander is a larger and heavier vehicle than the one it replaces. EPA-estimated mileage is 27 mpg city, 25 mpg highway. Supporting this new powertrain are host of electronic safety devices, including an effective stability control system that in our testing made the Highlander Hybrid almost impossible to spin out. However, if you drive where the snow flies, the Hybrid's traction control cannot be turned off, a problem on very slick pavement, as the vehicle will refuse to move. The second-generation 2008 Toyota Highlander Hybrid (available in base and Limited trim levels) is bigger inside and out than the SUV it replaces. 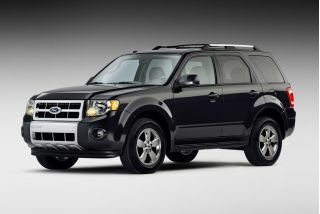 While Highlander used to be sized closely to the Ford Escape, it's now closer to the Ford Explorer. Inside, the increased room is put to good use, but the available third row is really for children only. A clever second-row seat can be stored out of the way for access to the third row. For more information, you can also read TheCarConnection.com's review of the 2008 Toyota Highlander. 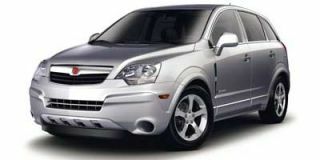 Another smaller competitor is the Saturn Vue Green Line, but its four-cylinder powertrain is far less complex than that of the 2008 Toyota Highlander Hybrid and doesn't offer nearly the mileage increase. However, it does cost less. When the 2009 Saturn 2-Mode Hybrid arrives, it will boast a V-6 full hybrid package that should deliver outstanding performance in its Opel-based platform. This may be a top pick for driving enthusiasts who want to go green. Other competitors are clearly out of the Toyota Highlander Hybrid's class (in both size and luxury features), but those listed do feature full hybrid powertrains. A bigger question to ask before which hybrid to buy is whether the hybrid powertrain is worth the price difference. The answer depends on how much driving you do annually, how long you plan to keep the vehicle, and ultimately, what the per-gallon cost of gas will be over that time period. Maybe you'll save some green; then again, maybe not. Do the math. The 2008 Toyota Highlander Hybrid turns no heads. TheCarConnection.com consulted a wide range of reviews of the new 2008 Toyota Highlander Hybrid from across the Web, and most were lukewarm on the Highlander’s new look. AutoWeek says of the Toyota, 2008’s Highlander is "bigger, brasher and bolder than its predecessor,” but notes that it’s “grown considerably…the new version is 4 inches longer, 3 inches wider and an inch taller." Interior volume increased by 41 cubic feet. Automobile thinks that “with its aggressive but inoffensive stance, the Highlander looks good,” while Cars.com says, “the 2008 Highlander Hybrid is sleeker than its predecessor and features smooth sides.” Cars.com also points out that differences between the Hybrid and its gasoline-only powered siblings are "minimal," consisting mainly of the grille and taillights. The most fervent admirer is Mother Proof, where the writer finds herself "marveling at it, admiring its face-lift...new lines, more contour, a sassy snout and a higher profile" in describing its "complete makeover." 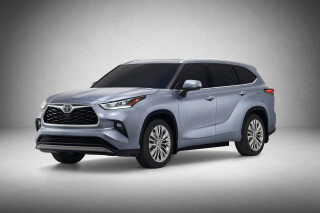 TheCarConnection.com thinks that Toyota has missed a real opportunity with the design of the 2008 Toyota Highlander Hybrid. While other, newer crossovers offer great style—see the Buick Enclave, Ford Flex, and even the 2009 Honda Pilot—the Highlander Hybrid’s lines seem unimaginative. The Highlander Hybrid does offer the unmatched gas-electric powertrain, but when it comes to style, crossover shoppers have ample reason to look elsewhere. 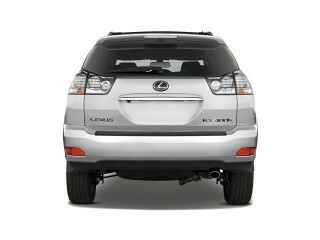 Most drivers will be satisfied with the 2008 Toyota Highlander Hybrid's overall performance, despite its soft handling. The 2008 Toyota Highlander Hybrid may not deliver driving excitement, but it does provide good fuel economy, according to reviews from across the Web as well as TheCarConnection.com’s own experiences in the new hybrid. Part of the problem is the Hybrid’s weight gain. Compared to the last-generation vehicle from Toyota, 2008’s new Highlander Hybrid gained as much as 450 pounds, and combined with duller electric power steering, its reflexes are slower. Most of the time, the Highlander Hybrid uses a blend of gas and electric power. ConsumerGuide notes that the Highlander Hybrid also can operate in battery-only mode for short distances. In addition, the vehicle has an Econ mode that regulates the throttle in order to maximize fuel economy. The drawback here is that "the gas-electric powertrain is prone to subtle but annoying surging and bogging in cruising conditions," while the "Econ mode severely limits throttle response from a stop to help save fuel." The 2008 Toyota Highlander Hybrid is quiet and comfortable—so long as you’re not an adult in the third row. One of the hallmarks of the crossover vehicle is lots of room inside, and in this respect, the 2008 Toyota Highlander Hybrid does not disappoint. ConsumerGuide notes, "wind and road noise are noticed at highway speeds, [and the] Hybrid's electric motor is annoyingly whiny." Noise levels are apparently an improvement over the previous year, however, because Popular Mechanics reports, "interior noise is reduced significantly" on the Toyota 2008 Highlander Hybrid due to foam insulation and better door seals. 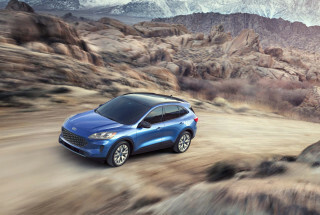 When it comes to the quality of the interior and its materials, TheCarConnection.com finds few complaints; most reviewer agree with Edmunds, which reports that "build and materials quality remains high, and the ergonomics are excellent." The 2008 Toyota Highlander Hybrid has comprehensive safety gear and good crash-test ratings. 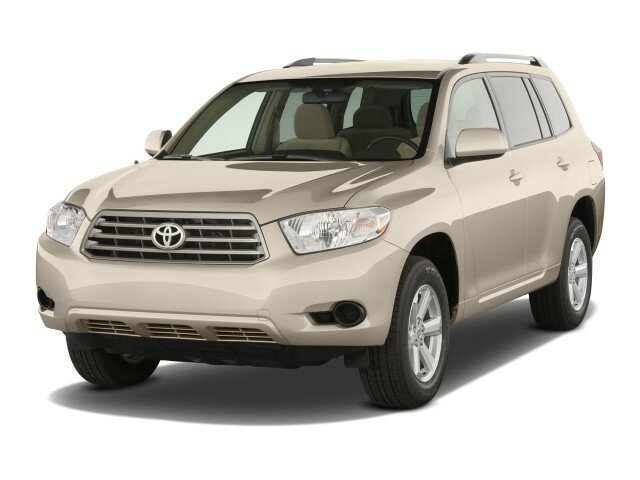 The 2008 Toyota Highlander Hybrid earns top safety scores from both the government and private industry tests. According to Edmunds, both the National Highway Traffic Safety Administration (NHTSA) and the Insurance Institute for Highway Safety (IIHS) award the Highlander Hybrid top marks for accident safety. TheCarConnection.com finds that ratings from the federal agency were five stars for driver safety in frontal impacts, four for passenger safety in front impacts, and five stars for all occupants in side impact crashes. The IIHS gave this vehicle a top rating of "good." Cars.com reports the Highlander Hybrid's numerous standard safety features include anti-lock brakes with electronic brake-force distribution and brake assist, as well as an electronic stability system and the full complement of airbags--seven, according to Popular Mechanics. A rearview camera is available as an option. Edmunds reports that despite the availability of Snow Mode (one of the "features that impressed," says Mother Proof), the 2008 Toyota Highlander Hybrid's all-wheel-drive system is not "suited for serious wintertime duty," which is not surprising in light of Popular Mechanics’ observation of its lack of off-road performance capability. The 2008 Toyota Highlander Hybrid has some great features available, but many are only offered on the pricey Limited version. TheCarConnection.com read many reviews of the 2008 Toyota Highlander Hybrid, and most praised its flexible seating and optional features. The base 2008 Toyota Highlander Hybrid comes with a tilt/telescoping steering wheel, air conditioning, an MP3-compatible stereo with auxiliary headphone jack, and a display for tracking fuel economy, according to Edmunds. The Limited version offers third-row fold-down seating, the JBL sound system, a sunroof, Bluetooth connectivity, and the rear DVD entertainment system as well as navigation. Car and Driver was quite taken with the "whompin' optional JBL sound system, flexible second-row captain's chair/bench seat configurability, and an excellent nav system." That captain's chair was also cited by Mother Proof as one of the reviewer's favorite features. These chairs have arms that can be folded down; an insert then can be placed in the middle to provide bench seating for three. Most people who purchase an SUV such as the Highlander Hybrid have children; therefore, the "rear-seat entertainment system with a flip-down 9-inch screen" can be a potential godsend when traveling with small children. I have 55,000 miles on the car with only one major repair, replaced water pump.